The Milton House was supposedly a part of the Underground Railroad during the Civil War. The house was built in 1845 by Joseph Goodrich and turned into an Inn. The frame house and log cabin behind the Inn were also built by Goodrich, along with the Milton House Tavern. 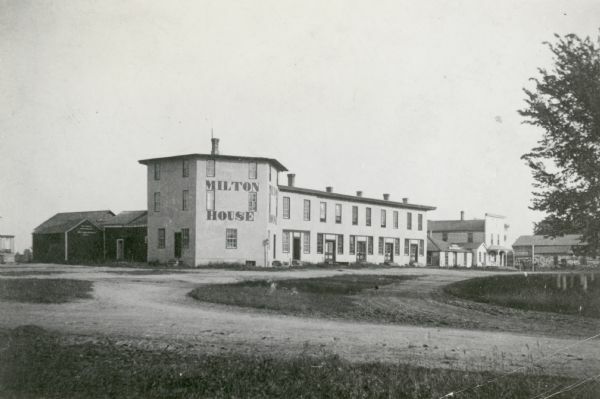 The Milton House was later taken over and turned into a museum. See also Image IDs: 39819, 39820, 39823, 39824, 39826, 39829, 39832, 39834, 39835 and 39837.